Multi adjustable keyboard stand can be used for a variety of keyboard models and adjusts both in height and width. Standard height is 23 ¼” (59.3 cm), width 24” (61.2 cm) Adjustable height 35 1/2” (90.2 cm), width 39” (99 cm). 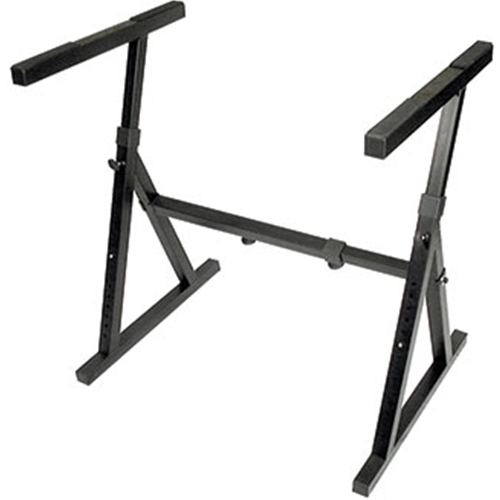 A sturdy and versatile stand, available in black.